Dragon’s Dogma: Dark Arisen is coming to Switch, Capcom has revealed. A release is planned for April 23. This marks the first time that Dragon’s Dogma will be appearing on a Nintendo console. It originally released in 2012, with the enhanced “Dark Arisen” following a year later. Capcom then started porting the game to newer platforms in 2017. 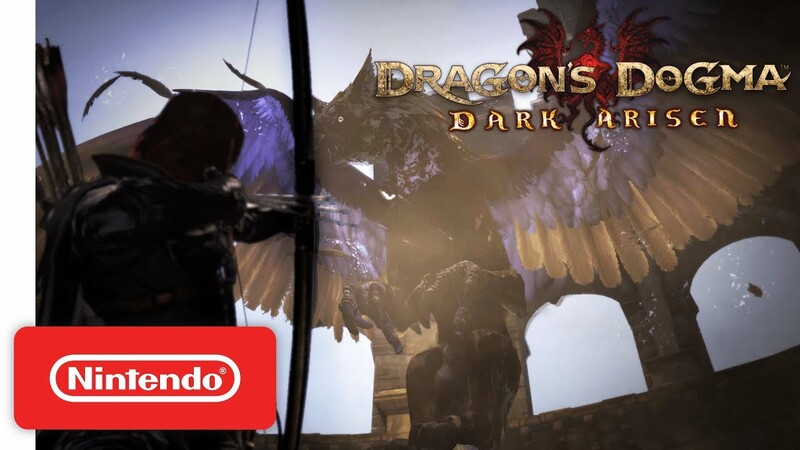 The critically acclaimed action-RPG Dragon’s Dogma: Dark Arisen makes its way to Nintendo Switch! Set in a huge open world known as Gransys, the game presents a rewarding action combat experience with nine vocations to choose from, all possessing a wide range of devastating skills and magicks to tackle deadly foes. Players embark on an epic adventure in a rich, living world with three AI companions, known as Pawns. These partners fight independently, demonstrating prowess and ability that they have developed based on traits learned from each player. Users can share these Pawns online and reap rewards of treasure, tips and strategy hints for taking down the terrifying enemies. Pawns can also be borrowed when specific skills are needed to complete various challenging quests.